Alhamdulillah.. Thank you to my hubby 🙂 Cok cok tesekkur ederim hayatim for treating me with my favourite candies! 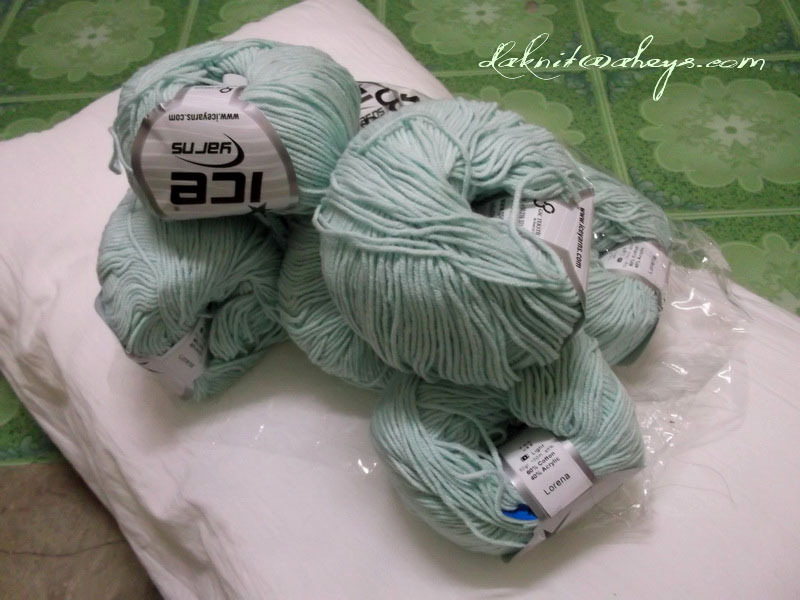 This is Lorena Mint Green.. soft, light, and very nice for many kind of projects such as cardigan, vest, bag, tablecloth, dishcloths, hats, booties and many moreee! 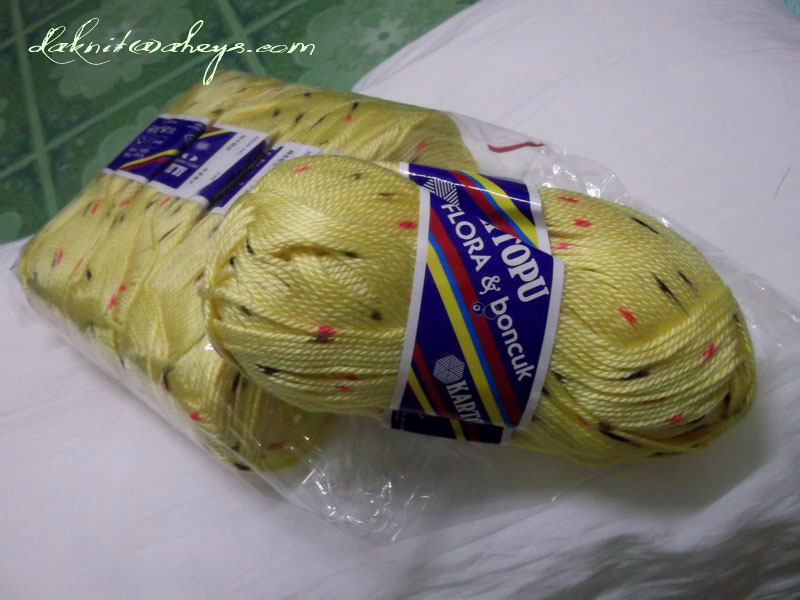 Magic Baby.. will make a cute sweet cardigan from this.. soft and really nice to feel..
Magic Wool Light.. very nice colour 😀 can’t wait to make hat with this soon..
Kartopu baby yarns… soooo soffftttt! Benekli bebe.. OH Allah, this is sooooo sofffttttt…… and soooooo comfortable! Boncuk.. this is my favourite! 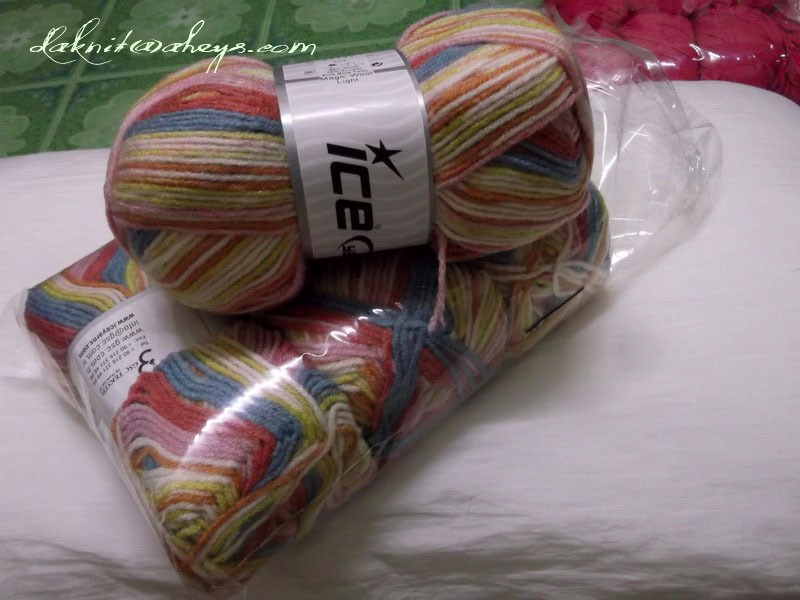 🙂 Soft and really nice for any wearable projects..
Alize Yarns.. these are a gift from my hubby few months ago, 9 balls as total 🙂 Really like this yarn so much, they are all in progress to be a sock, bag and cardigan soon! InsyaAllah.. 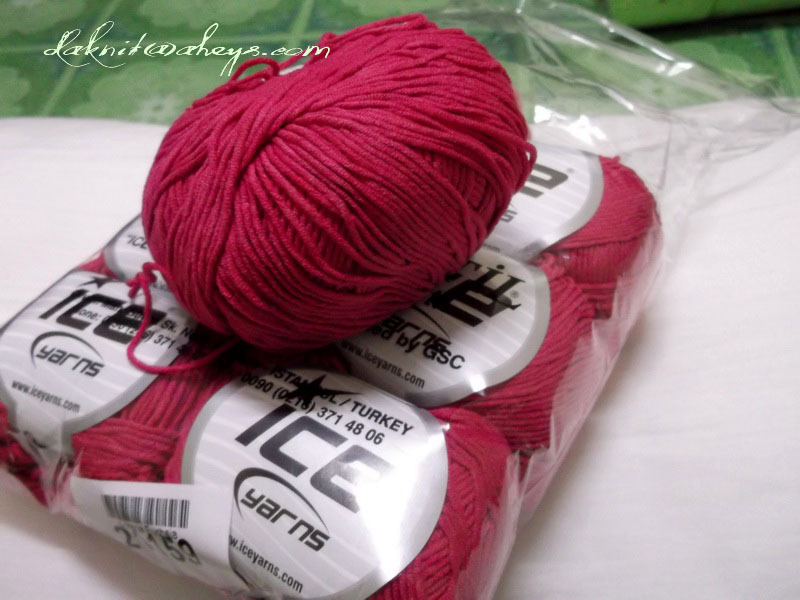 I love all the yarns.. and I am very satisfied with the quality from Ice yarns brands, if you are interested to purchase, please visit our www.yarnsonlineshop.com and don’t forget to check us out every TUESDAY for GREAT PROMOTION yarns ever! .. I am sure there are many and many more quality yarns outside there. 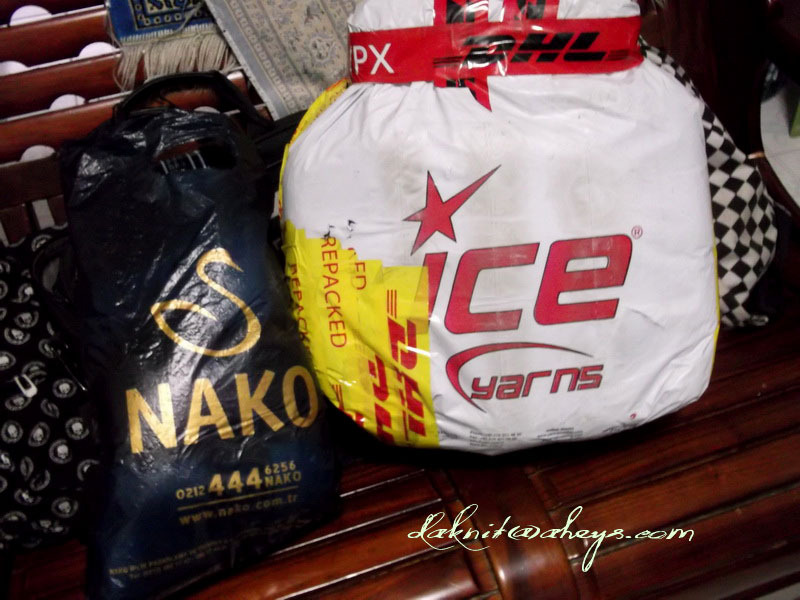 InsyaAllah, hopefully one day, I can try another different brand.. especially like Debbie bliss, Rowan, King Cole and many more.. Thank you for hopping by and Assalamualaikum.. Recently, saya telah bercadang untuk membuat buku belajar mengait jarum dua secara perlahan-lahan. InsyaAllah.. saya akan cuba kongsikan perkembangannya dari semasa ke semasa ( aahhah tapi tidaklah secara besar-besaran.. hanya sekadar untuk hobi dan berkongsi ilmu dengan para peminat mengait jarum dua yang lain, insyaAllah.. 🙂 ) Tujuan buku ini adalah untuk membantu meningkatkan lagi semangat saya untuk terus teruja dengan bidang seni mengait. 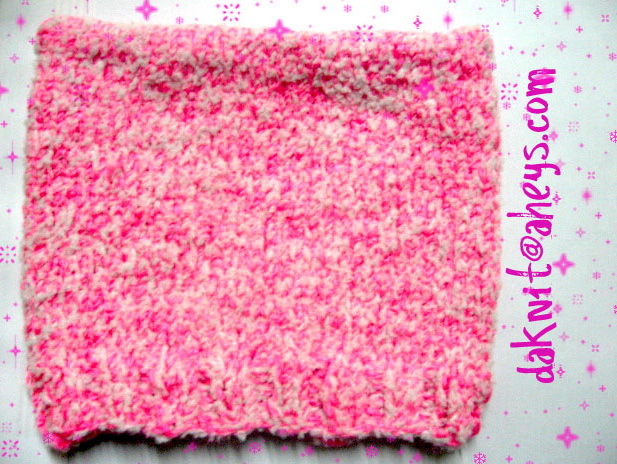 Besides, there is a new tutorial+KIT that I am making now and still in progress.. need to do the trial and error since I’ll be using my own design pattern for this tutorial.. InsyaAllah.. Once done, I’ll be uploading it to Da’Knit Online Store. 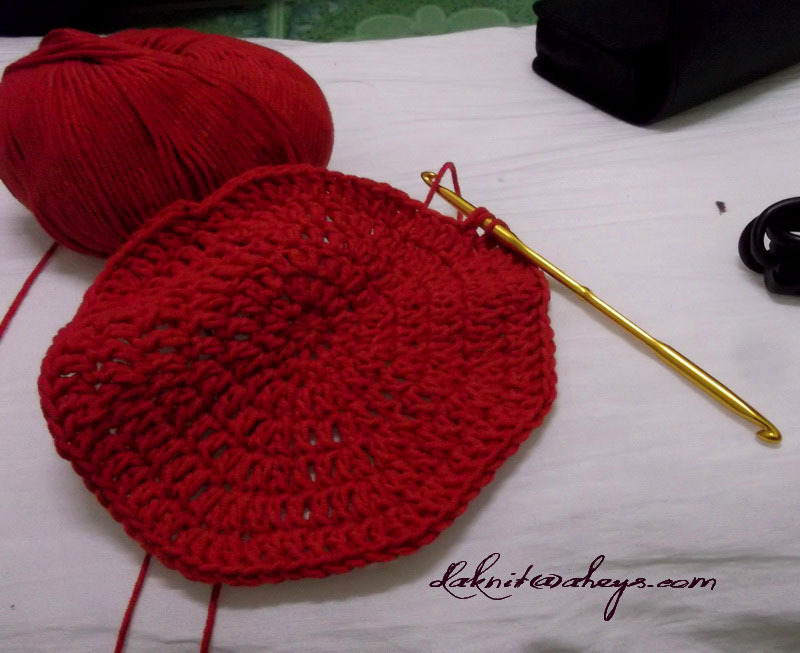 Perhaps and hopefully, it will be very useful for those who wants to start learning on how to knit and crochet.. oh however, just for your information, this tutorial is focusing on the Crochet method. 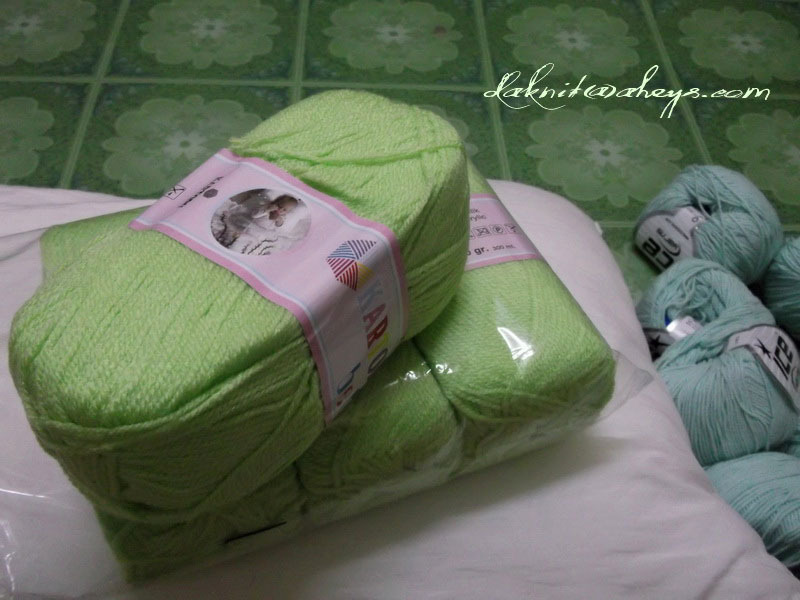 InsyaAllah, will be followed by Knitting in the future. Oh oh.. for not to forget, I really need to write down a new list again of my new order. 2. 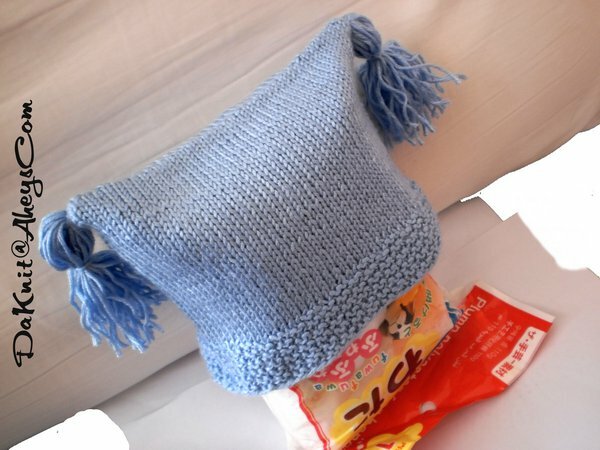 Knit a bag for my colleague – oh .. i need to be hurry to get this done! 3. 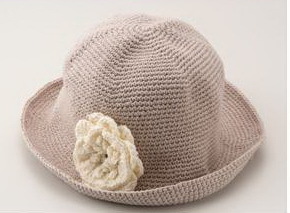 Crochet hat for myself – yup.. this is a must! 4. Knit a sweater for my dad – for my lovely dad 😀 May Allah swt always protects our family. Amin. uh oh… I really need to balance my work and my hobbies …. may Allah gives me a strength to handle all things wisely! 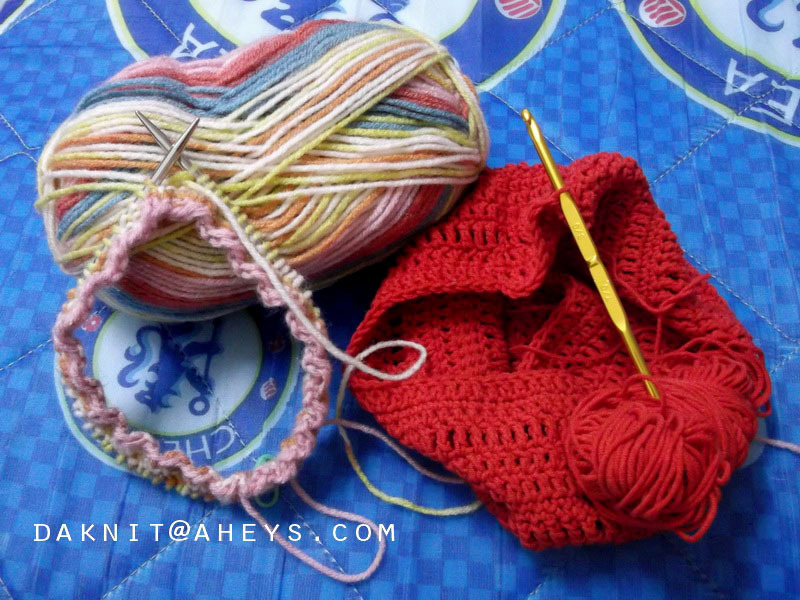 Amin..
Ok.. done with the chit chat.. InsyaAllah, will give more updates of my latest knit and crochet projects soon! Hats Maniac! 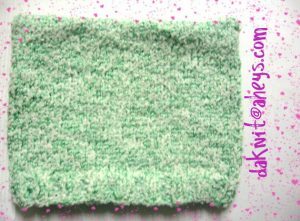 – Da'Knit Hat Giveaway Contest! We are having a new contest to search for a NEW LUCKY WINNER. This contest is for FUN so enjoy it! 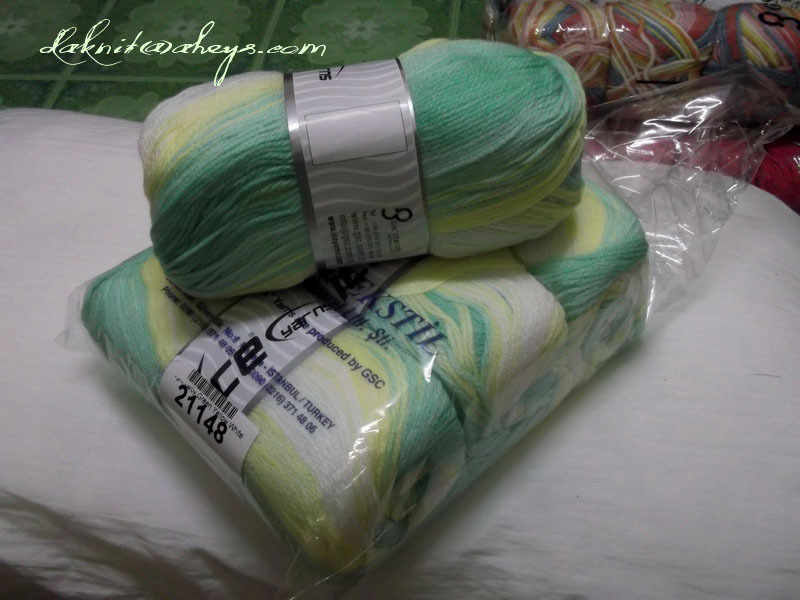 All crafters can join this giveaway contest! ONE WINNER will be selected based on the highest votes that they took. So don’t forget to ask your friends, family, your loved one and your customers to vote for you. 1. 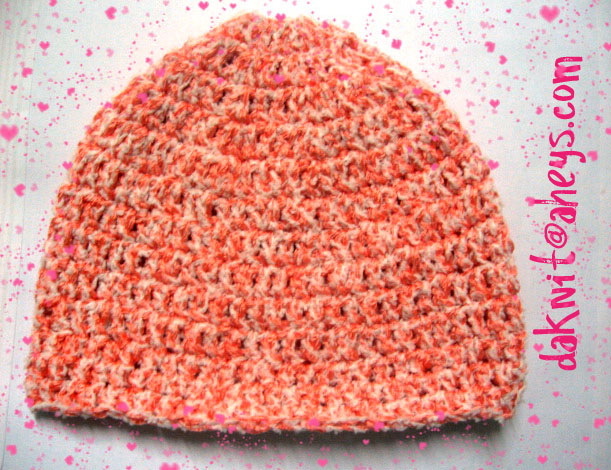 Please POST your HAT/CAP crochet/knitting photo on Da’Knit WALL FB PAGE along with your NAME. Only 1 Photo is acceptable. 1. Only One winner will be selected. LIKE our FB Page at facebook.com/daknit to join our giveaway contest. 3. Winner will be selected based on the HIGHEST VOTES. 4. 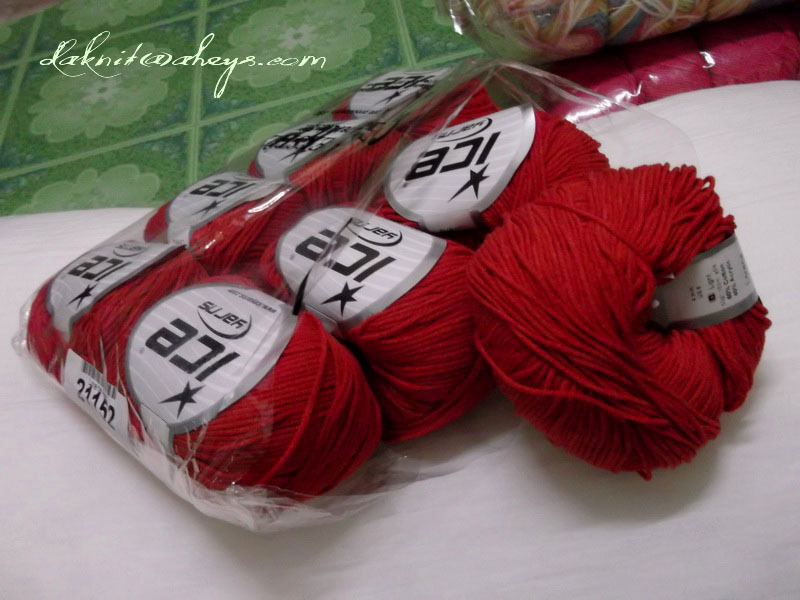 THE LUCKY WINNER MUST contact DA’KNIT via email for shipping address or PM us via FB. 5. Everyone is welcome to join. 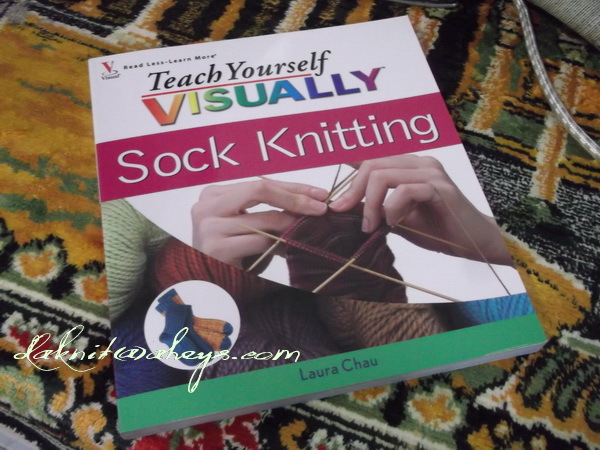 This book is really good for those who wants to learn on how to knit socks. 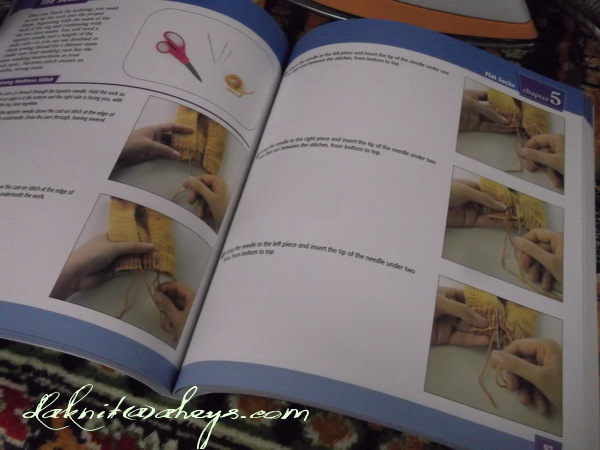 It gives good instructions, clear pictures and nice-easy patterns to follow for the beginners to intermediate or even advanced learner! 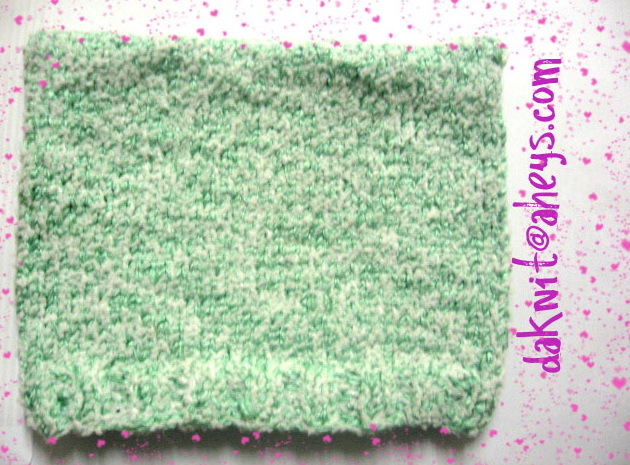 Alhamdulillah.. now I can knit socks better without need to refer to the PC screen again. Thanks for hopping by and Assalamualaikum! Me and My Husband 🙂 Alhamdulillah.. Malaysia Boleh! Turkey Boleh! 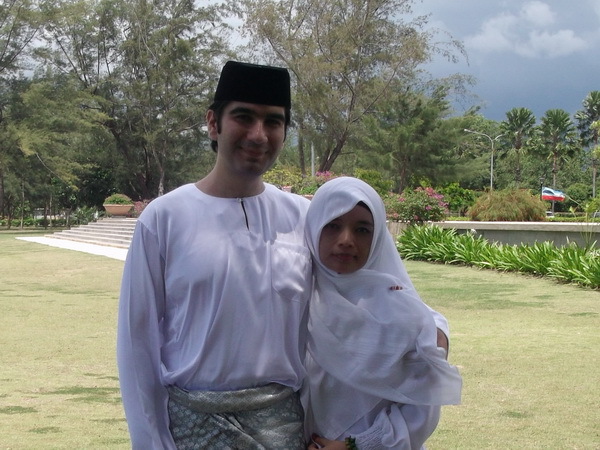 12 September 2011 will be in our memory.. May Allah swt bless our love and marriage dunya ve akhirat. Amin ya rabbal’alamin. Alhamdulillah.. after a while, I finally had the chance to update my post tonight. It’s been a really hectic days lately.. and may everything goes well and smooth.. insyaAllah, amin. Due to this, I had to delay my orders for days and I am really sorry to my customer that I made her waited so long this time.. however, I did my best to finish it as fast as I can whenever I had the chance to hold my hook and needles. So what I’ve been up to for the passed few days? 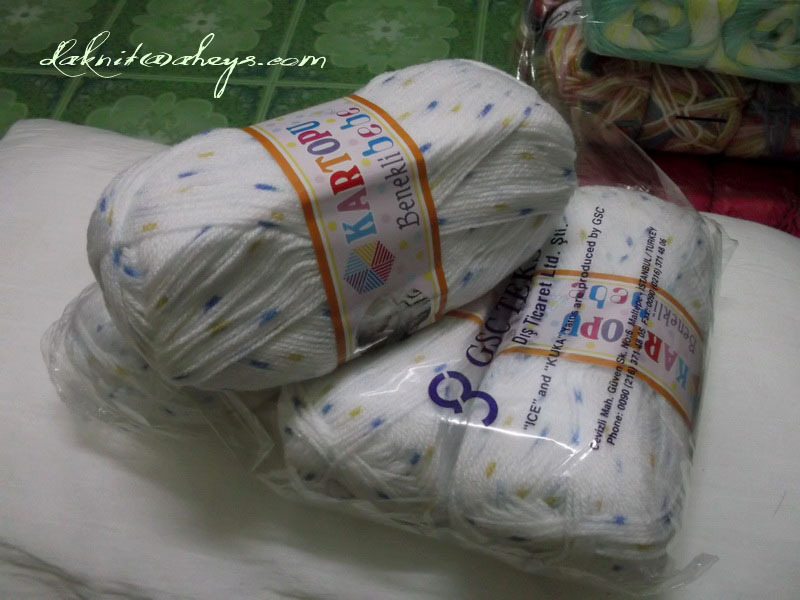 InsyaAllah.. there will be more projects soon, knitting and crochet. May Allah make it easy for all of us. Amin ya rabbal’alamin. Have a good night and weekend everyone! p/s: if you are interested with my handmade stuffs, don’t be hesitate to contact me at sindarery@gmail.com. Join us on Facebook.Com/Daknit for more updates! Pattern is FREE but PLEASE DO NOT POST it back, copy-paste or distribute in any form, and it is prohibited to do so. You are only allowed to back-link this post. However, you can sell the item made from this pattern and take profits. If you use this pattern to sell/teach, please credit to Daknit.Com. At the beginning of sts, place a marker to mark your starting point. 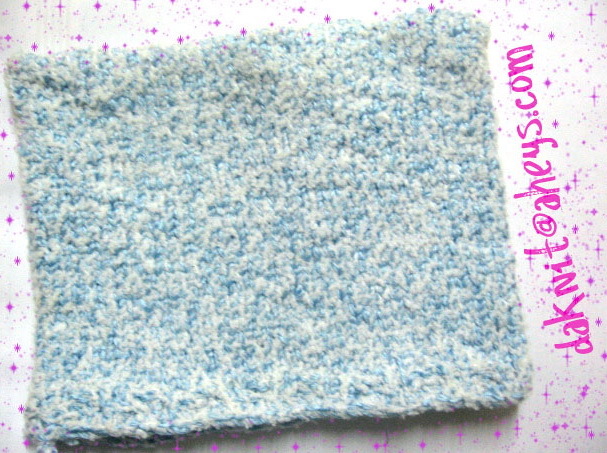 Make sure your that your stitches are not twisting. We are going to work in the round. 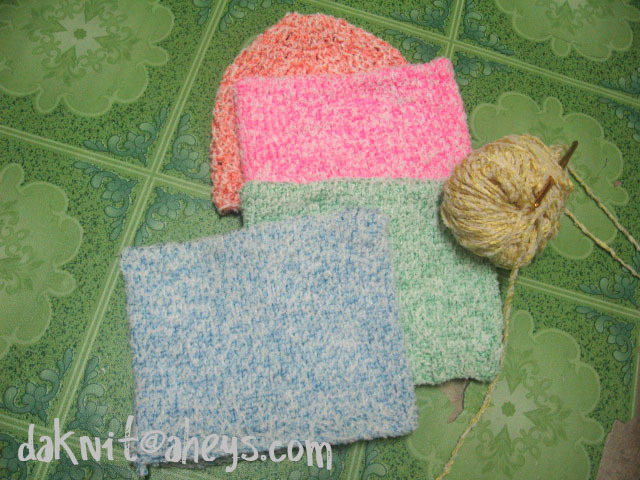 After you done with Row 1 and Row 2, continue the next rows with Knit. 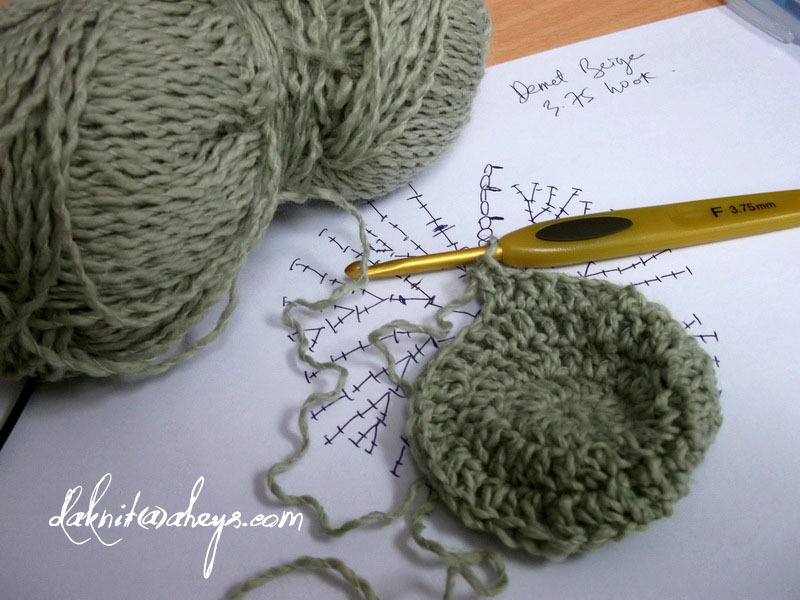 Next Rows: Keep doing Knit Stitch — ( At least to 10-15 cm length from Casting On) or until your desired length. (PF,KB,**KF(drop)PF,PB(drop),KB**) – Repeat this ** to ** until the end of the last row.